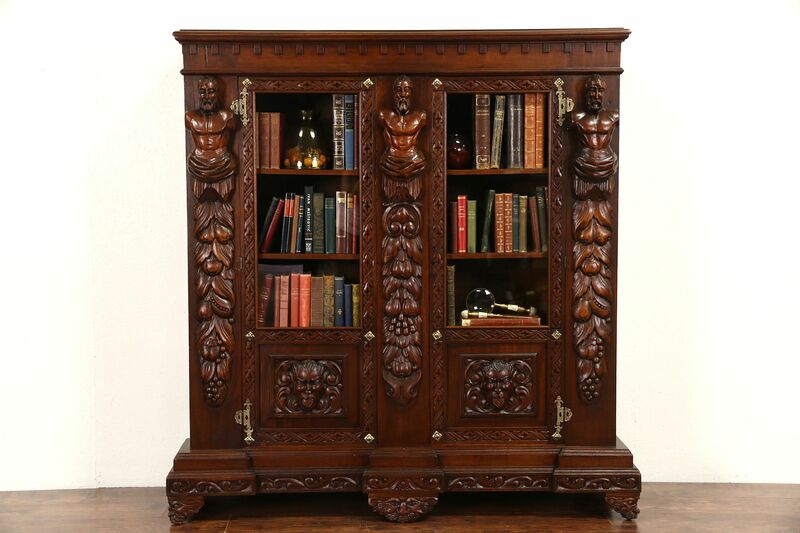 Hand carved in the Renaissance manner in Italy around 1900, a library bookcase or china cabinet has adjustable shelves. Solid walnut with a renewed finish in excellent condition, there are high relief angel and devil faces plus three dimensional figures on this imposing antique European furniture. Original locks work, the key goes into the left lock "upside down." Measurements are 64" wide, 19" deep and 65" tall, the shelves are 14" deep. Matching pieces in photos are priced separately, call or email for availability.